Cabo San Lucas Prepaid Vouchers Discount Program. All Prepaid Vouchers – Discounts are available for many businesses in Cabo San Lucas, The Tourist Corridor and San Jose del Cabo. Whether you are vacationing or live in Los Cabos, you can save 35 to 70 percent on selected activities (including golf and sportfishing); restaurants, shopping, health care and dental work; hotels, inns, and resorts; photography services, car rentals, as well as at spas, beauty salons, fitness and wellness centers. 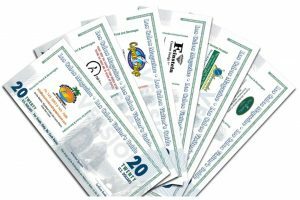 Los Cabos Magazine Prepaid Vouchers are available for many businesses in the Cabo San Lucas, San Jose del Cabo, and Tourist Corridor areas of Los Cabos, Baja California Sur, Mexico. HOW IT WORKS: Say, you decide to purchase $600 worth of Prepaid Vouchers. First, select the businesses where you wish to use the discount vouchers. If you choose six different restaurants, maybe you would need an average of $100 worth of vouchers for each restaurant. We are not able to offer one group of Prepaid Vouchers that are acceptable for all of the participating activities, restaurants and hotels. You save 35 percent of $600, or $210.00 in discounts. You pay only $390 and receive $600 worth of Prepaid Vouchers. Unused vouchers can be returned within 120 days of purchase. You can also purchase Prepaid Vouchers from our office in Cabo San Lucas when you get to Mexico. Call the office first to ensure someone is there. Our Prepaid Vouchers sell out quickly and may not be available unless purchased or reserved in advance. Click for directions and a map showing the Cabo San Lucas office location. There are only a few rules for redemption. Limitations will apply to groups of more than six (6) persons. Limits will apply for the amount of Prepaid Vouchers for each participant. Important! Prepaid vouchers must be returned for refund or exchange within 120 days of purchase. Please read our Refund Policy for terms and conditions. 2.- In “Price per item” put the total price of all vouchers.Note: you can put vouchers one per one or all in one occasion, you decide how to make your transaction.